Dr. Schon is an orthopaedic surgeon, fellowship trained in foot and ankle reconstruction. He is an internationally recognized expert and innovative designer of new surgical techniques and orthopaedic devices. Dr. Schon also serves as an Assistant Professor of Orthopaedic Surgery at The Johns Hopkins University School of Medicine. 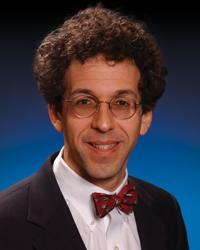 In addition to his clinical practice, Dr. Schon is an award-winning researcher and investigator. He founded the Orthobiologic Laboratory, supported by the Innovation Fund, where he and his team work together toward the singular goal of improving patient care and outcomes through research, education, and discovery. Dr. Schon's special interests include tendon disorders, deformities, fractures and ligament injuries, sports injuries and dance medicine. Dr. Schon talks about advancements in ankle replacements in the Science Borealis blog. Dr. Schon was named a 2017 “Top Doc” by Baltimore Magazine for Foot and Ankle Surgery and also recognized in 2016, 2015 and 2011.